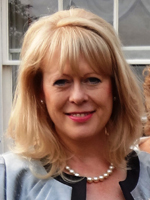 Kate Belinis is the CEO of CDA Herts since 2006. 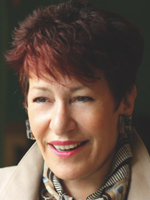 She has worked in Hertfordshire and London for many years as CEO in the voluntary sector. Prior to her voluntary and community roles, she worked in the private sector for 20 years in the analytical/testing of retail products and quality assurance sectors. Her passion is in the development of sustainable communities and their infrastructure needs to enrich their communities and quality of life. Her work and networks cover rural affairs, social enterprise, community gardens, transport solutions, the criminal justice system and marginalised communities including the protected groups. Kate continues to maintain an active role in several volunteer groups and sits on several Boards in Hertfordshire: Herts Independent Living Services; Herts Young Homeless; Stevenage World Forum for Ethnic Minorities; Ware Arts Centre; School Governor; Herts Equality Council and MENTER (Minority Ethnic Network in The Eastern Region). Dame Claire Bertschinger DBE DL DEd DSSc DSc (Hon Causa) MSc RGN works as Assistant Professor and Director for Tropical Nursing at London School of Hygiene & Tropical Medicine. She was honoured as a Dame Commander of the British Empire in the 2010 New Year’s Honours List for services to Nursing and to International Humanitarian Aid. She is known as the nurse who inspired Bob Geldof to create Band Aid/Live Aid. Her hobbies include walking her dog, growing vegetables and Buddhism. Marion Brown’s employment history is in charities and administration. Her voluntary roles (historic and current) include being a member of the senior leadership team for National Youth Ventures, Chair of Building Committee for a major church refurbishment and extension, part of the leadership team running a leadership course for those in positions of leadership in church, work and/or community. She has been a magistrate (JP) since 2003 (roles have included membership of the Advisory Panel for Hertfordshire, mentor appraiser, schools’ presenter and currently Deputy Bench Chair West and Central Hertfordshire), consultant for clergy reviews in the St Albans Diocese, “Assistant” for the Diocesan “Support in your Ministry” scheme (listening service for clergy and church workers), school governor (previously in two primary schools) – currently of Verulam School, St Albans, choreographer for Year 6 annual production at Maple School, St Albans. Other ongoing involvements include St Paul’s Church St Albans (small group leader and a variety of other roles involving leadership, youth and community activities), other voluntary activities with individuals or local organisations, particularly with emphasis on developing people, children’s and youth activities, initiatives that strengthen community links and justice matters. Her personal interests of “creative and craft” and hospitality play a key part in this. 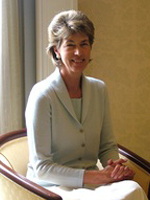 Sally Burton studied law at Bristol University and qualified as a solicitor in 1981. Moving to Hertfordshire in 1985, she immediately embraced the voluntary sector, fund raising for the Scanner Appeal at the QEII Hospital in WGC. She then became involved with Breakthrough Breast Cancer (newly named Breast Cancer Now), raising over £365,000 by organising Balls and Dinners, Fashions Shows and Quiz Nights, Winter Fairs and a Gardeners’ Question Time, as well as being their local representative in Hertfordshire. She has talked about breast cancer in schools and colleges, represented the charity at dinners, shows and at Golf Clubs, and was a member of their Campaigns & Advocacy Group to raise the profile of breast cancer, working specifically with the local MPs. 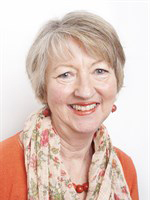 Chairing the Fighting Breast Cancer Committee since 1994, she has raised a large sum for the Hertfordshire Breast Unit Appeal at the QEII Hospital. She has also been a school governor (of a prep school in Oxfordshire and of Richard Hale in Hertford), Chairman of the Heath Mount School du Maurier Society and Chairman of the Stevenage Patrons’ Club. As Chairman of the Mid-Herts Wives Fellowship, she organised a two-day conference at Hatfield House in 2010 as well as monthly meetings with speakers and church services. She is married to Mark, with three adult children and a brown standard poodle, Truffle. She loves playing tennis and skiing, trips to the theatre and discovering new restaurants in London. Roy has been a member of the UK film industry for over 46 years. He started in the industry in 1969 as a runner and graduated up through the ranks of AD’s, Production Manager, Producer etc. Roy joined Warner Bros. in January 1993. In his capacity as head of Physical Production for Warner Bros. Productions Limited, he is responsible for all Warner Bros. films based out of the UK, Europe, Africa and the Middle East and has been responsible for over 150 films all over the world. Roy was also the key driving force to Warner Bros’ Investment in Warner Bros. Studios Leavesden which has created Europe’s largest studio, solely owned and run by Warner Bros.
Roy is heavily involved with training programmes within the UK Film Industry and is currently sitting on the board of the Film Industry Training Board. He is also responsible for all Health and Safety matters related to productions and for bringing further major motion pictures to the country. Roy was awarded an OBE for services to the film industry as part of Her Majesty The Queen’s 2009 Birthday Honours List and was appointed as a Deputy Lieutenant for Hertfordshire in 2010. David Cansdale worked as a police officer in London and Hertfordshire and retired in 1997 as Assistant Chief Constable. In his “retirement” he has worked with many charities and church groups and is a Lay Minister at Christ Church in Chorleywood. He was appointed a Deputy Lieutenant in 2009. His wife Judy was a nurse in the Cancer Unit at Mount Vernon Hospital. They have three “children” and eleven grandchildren and have lived in Chorleywood since 1975. They enjoy gardening (including their allotment and chickens) as well as bird-watching, walking and canoeing. Charles Cecil was High Sheriff in 2011/12. His focus was on the prevention of offending and reoffending and he remains involved many areas and organisations related to this in Hertfordshire. His career has been in the financial field – particularly in private equity and investment, nationally and internationally. Ant was born in St Albans and attended Hitchin Boys’ School and then Portsmouth Polytechnic. Qualifying as a Chartered Surveyor he worked in London for a large Surveying practice. He then joined the family business, Chapman Ventilation, based in Welwyn Garden City where he and his brother have worked together for the past 20 years. Ant has also had a parallel career in the Reserve Forces and holds the Rank of Captain, Royal Navy Reserve. 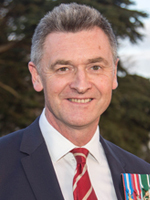 He is currently responsible for the Royal Navy’s relationship with current and future Employers of Royal Navy and Royal Marines Reservists. He has also deployed to the Middle East in support of UK operations and also commanded HMS WILDFIRE, Hertfordshire’s Royal Navy Reserve Unit. Ant is married to Katharine and they live in Welwyn Garden City with their 2 children. 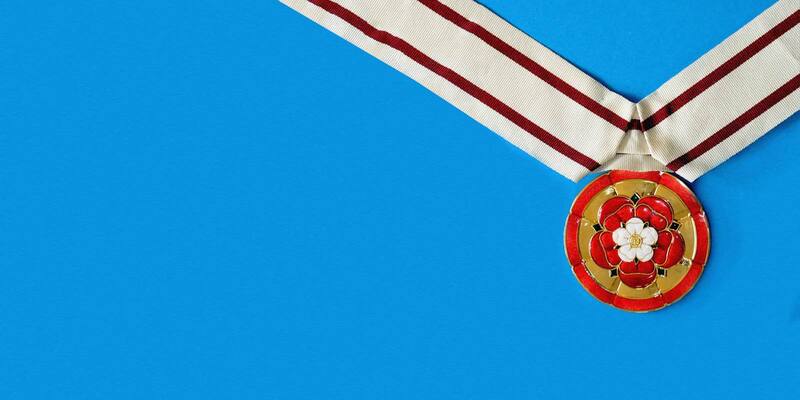 In his spare time he competes in triathlons and enjoys sailing in the UK and abroad. He also enjoys mentoring individuals looking to grow their own business enterprises. Sarah lives in Broxbourne and is married to Peter, who she says is a wonderful support for her voluntary work and earns their living. She is a magistrate on the North & East Herts Bench and the St John Ambulance Hertfordshire County President. Sarah is a member of the Joint Audit Committee for the Hertfordshire Police & Crime Commissioner and the Hertfordshire Chief Constable. 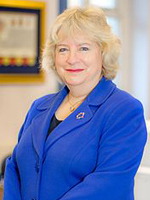 She was an Independent Member of the Hertfordshire Police Authority until its successful transfer to the Hertfordshire Police and Crime Commissioner. 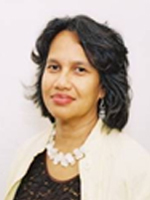 Previously a Non-Executive Director on the Board of the Princess Alexandra NHS Hospital Trust, she co-chaired the Quality & Safety Committee and was a member of the Audit Committee and Remuneration & Nominations Committee. Sarah has a background in Research, Development and Quality (previously a Qualified Person and a Quality Assurance Auditor) in the Biotechnology and Pharmaceutical Industries. Sarah has a Batchelors Degree in Medical Biochemistry from Birmingham University and a Masters Degree and a PhD in Biotechnology from Reading University. Jo Connell’s career was in information technology where she became Managing Director of a software company followed by a number of Non-Executive Directorships with a variety of IT and Telecommunications companies. 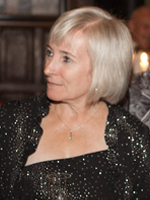 Her current activities and interests are Chair of the Communications Consumer Panel, Chair of Ofcom’s Advisory Committee for Older and Disabled People, Trustee of the Hertfordshire Community Foundation, Past Master (2008/9) of the Worshipful Company of Information Technologists and Chair of their Charity, and Patron of the Hospice of St Francis in Berkhamsted. Over a long business career, Gerald served on the boards of 13 different public companies, seven of them as Chairman. He is currently chairman of Segro plc, Britvic plc and Numis plc. Previously he chaired Betfair plc, the Towry Group plc, Moneysupermarket.com, SSL plc and Woolworths. 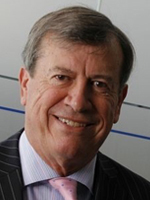 He has been a non-executive director of Numis plc, MEPC plc, Burmah Castrol plc and Greencore plc. He was the Group Financial Director of Redland plc and Grand Metropolitan plc. He was Chief Executive of Railtrack. He was Chairman of Action on Hearing Loss (the Royal National Institute of the Deaf). He was High Sheriff of Hertfordshire for 2010/2011 and served on the Council of the High Sheriffs Association between 2008 and 2011. He is Chairman of the Hertfordshire Community Foundation, the St Albans Cathedral Music Trust, the Cathedral Appeal “Alban, Britain’s First Saint” and Marylebone Cricket Club. He was educated at Tonbridge School and Pembroke College, Cambridge University. He gained an MSC with distinction in Business Studies from the London Business School and was an exchange scholar at Harvard Business School. He is married to Virginia who is an artist. They have four grown-up children and live on a farm near Redbourn, Hertfordshire. His personal interests include watching cricket, golf, country pursuits and playing bridge. Brought up in North Yorkshire, Louise trained as a nurse at the Middlesex Hospital in London before marrying Teddy and moving to Sandon Bury Farm. They have 3 children and 5 grandchildren. She has been a school governor at Sandon JMI School and Maidwell Hall, Northampton, she organised the Holly Ball at Hatfield House for 9 years, worked as a volunteer at the Isabel Hospice, as well as supporting her husband as High Sheriff, Vice Lord Lieutenant and Ordained Priest. In 1995 she returned to nursing at Addenbrookes Hospital, Cambridge, retiring in 2013. She was appointed Patron Marie Curie 2013-2016, running three highly successful Art Shows with the NGS Open Garden at Sandon Bury for Marie Curie. Howard grew up in Knebworth, was educated at Ardingly College in Sussex and Leeds University and despite having an international career in advertising, he has never lived anywhere other than Hertfordshire which he considers to be greatly underestimated. Married to Sheila they have four sons and for the last forty years have lived on a farm outside Radlett. Other than a passion for planting trees, they also run a livery yard. In the late 60’s he entered the film industry where his career led from tea boy, assistant director and producer to directing commercials which he did until 2006, the year before he became High Sheriff of Hertfordshire. 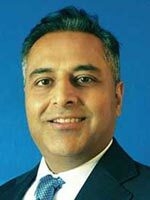 He served on the National Hospital of Neurology Foundation from 1990 to 2010. In 1990 his family bought the redundant church of St Nicholas at Great Munden and over a ten-year period carried out a full restoration. Howard and Sheila present occasional concerts. 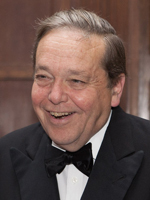 He was the Chairman of the Fabric Trust at St Albans Cathedral from 2006-2013. 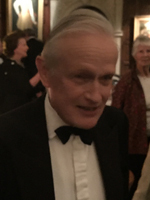 His TV documentary Inside Eton was screened in 1997 and in 2014, on behalf of the Lieutenancy, he wrote and directed “A County at War, Life on the Home Front”. The film premiered at the Rex Cinema on August 4th and was distributed to every school and museum in the county and will be re launched in 2018 to mark the end of the First World War. Nick Halsey served in the TA in Hertford, Hemel Hempstead and elsewhere and was Deputy Hon Colonel for the Royal Anglian Regiment. 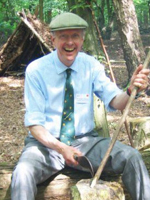 He was Chairman of the Hertfordshire Society (CPRE) for 7 years, Chairman of the Ashridge Estate National Trust Management Committee for 15 years, member of the National Trust Regional Committee and Estates Panel and a governor of the Berkhamsted Schools. More recently, he was President of the Royal Forestry Society (England, Wales and N. Ireland). Currently he is President of the Herts Scouts Council. By qualification, he is a Chartered Surveyor (Land Agent) and in practise a farmer/forester. Helen Hanbury qualified as a doctor in 1981. She moved to Hertfordshire and stopped working as a GP in 1995 in order to bring up her family. 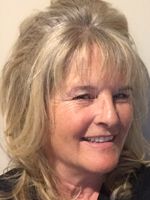 Since then she has worked as a volunteer, then Trustee, for Independent Age (formerly RUBKA) until 2015, she has been a school governor since 2002, and Chair of Governors at Lonsdale School in Stevenage for disabled children from 2005 to 2017. She enjoys opera and theatre and is a keen walker. After graduating from Durham University Tim Hennessey served in the Royal Navy until 2012 as Fleet Air Arm aviator and Surface Warfare Officer. On leaving the RN he joined the Institute for Statecraft, assisting in work on the Prevent programme and lecturing on leadership. He also helped establish the Institute in its current premises in Temple Place. In 2014, he returned to his original passion and became a flying instructor and ground theory lecturer for prospective airline pilots. In 2016 he also qualified as a commercial pilot. He is Chairman of Trustees for the Sailors’ Children’s Society, of which the Princess Royal is Patron, and he is a Trustee for three other charities. Tim is currently the Church Warden at St Peters in Berkhamsted. Tim has been married to Kate, a Senior Financial Ombudsman, since they met at Durham in 1979. They have 3 children and 5 grand-children. Peter Holland has been involved with local and national journalism, spending many years with Reuters travelling first as a journalist and later in senior management. He has also been involved in policing for many years, chairing the Hertfordshire Police Authority as well as being chairman of a national Police agency. For many years he was a director of St John Ambulance. He is currently Chair of a small charity, Herts in Trust, aimed at keeping young people away from crime. 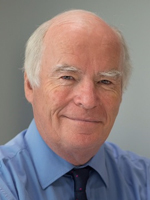 Keith McAdam is Emeritus Professor of Clinical Tropical Medicine, London School of Hygiene and Tropical Medicine. He is also International Advisor for East, Central and Southern Africa at the Royal College of Physicians in London. He is Chair of NAMWEZA, a life skills training programme to build self-esteem of the 23 million people living with HIV in Africa. He is Chairman and Founder of Music for my Mind, a new UK charity to bring favourite music to people suffering with dementia, to improve wellbeing and quality of life for them and their care-providers. He is currently Charity Trustee of BBC Media Action, recently Trustee of AMREF (African Medical and Research Foundation), and was Co-Chair US National Academies of Science, Engineering and Medicine Committee on Clinical Trials during the Ebola Outbreak. 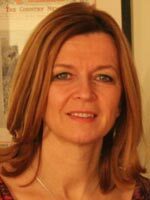 Jane McCue moved to Hertfordshire in 1996 on taking up her appointment as a Consultant Colorectal surgeon at the QEII hospital in Welwyn Garden City which subsequently merged with the Lister Hospital in Stevenage and later the Mount Vernon Cancer centre. 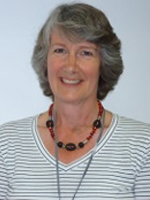 During her time in the Trust Jane also held a number of management positions culminating in almost ten years as Medical Director for the combined East & North Hertfordshire NHS Trust until her departure in December 2017. Now semi-retired she continues to work in a part-time capacity as a mediator with healthcare teams in difficulty and with a healthcare management consultancy. She is also the Honorary Colonel for 254 Medical Regiment which includes 162 squadron based in Hitchin, a Volunteer surgeon with Hernia International and a past Governor of the University of Hertfordshire. A resident of Bengeo, Jane is married with a son and daughter. Her interests include gardening, tennis, skiing, dancing, travelling and learning French. Fergus McMullen is Production and Sales Director of his family brewing and pub company McMullen and Sons Ltd. 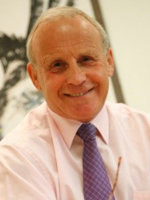 He is Chairman of the Hertfordshire Community Liaison Group and sits on the Hertfordshire Criminal Justice Board. 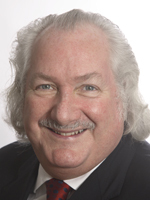 He is also chairman of the Hertfordshire ‘Out of Court Disposal Scrutiny Panel’. Fergus also chairs the Keech Hospice Care, BraveHerts Charity and is Vice chairman of Future Living Hertford, a charity dealing with addictions and domestic abuse. He was president of the Hertfordshire Agricultural Show in 2017 and High Sheriff of Hertfordshire in 2013/14. Fergus is married to Kate and they have five children and three grand-children. Kate works for the Cancer Research Trust for Addenbrooks and is a member of the BraveHerts Appeal committee. 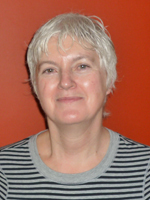 Kate enjoys travelling and teaching her grandchildren tennis and swimming. Fergus is a keen cricketer and fisherman and loves his dogs beside him at all times! David studied sciences at Rugby School, taught A Level Sciences in Uganda and read Economics and Law at Cambridge. He took a Commission in the TA, qualified as a Chartered Accountant (tax and family companies) and worked in Merchant Banking Corporate Finance – old style with Lazards. He was Finance Director and subsequently Chairman of the Hertford family brewery. Other activities include farming and CLA county committee, school governor of Prep and Public schools, and the Investment committee of a Cambridge College. He was Chairman of a Housing Association and a private company manufacturing oil pipeline valves and property. 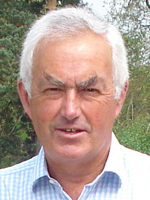 His trusteeships include estates and pension funds as well as being on the Parish Council. He is keen on most sports and other stuff but not sailing or golf. He flew the earliest microlight plane. He can’t cook! Currently a bit immobile after falling off a roof while dealing with a wasp’s nest. 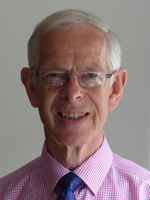 Stuart is a qualified Chartered Accountant and was a partner in a firm in Radlett until he retired a few years ago. Currently he has a part-time role as Assistant Police & Crime Commissioner for Hertfordshire and formerly was a Council Leader and Mayor, Chair of the Hertfordshire Police Authority and a Magistrate. He is involved with many voluntary organisations within Hertsmere and the county. His interests include sport, local history, politics and travel. High Sheriff 2004/5 and a DL since 2008. Shelagh is a Trustee and Co- Founder of The Cure Parkinsons Trust which is an increasingly important charity funding research into finding a cure to slow, stop or reverse Parkinsons. She is also Trustee of the Music Trust at St Albans Cathedral. An enthusiastic touch line supporter of grandsons, she is a keen gardener who isn’t winning. Her husband Richard who sadly died in 2016 was Lord Mayor of London in 1997/8. John was born in Belfast and educated at Haileybury. He was commissioned into The Corps of Royal Electrical and Mechanical Engineers (REME) in 1967. After graduating from Nottingham University, where he met his wife Sue, his early career was spent largely in Germany, Northern Ireland and England, including a posting as an instructor at the Royal Military Academy Sandhurst. His subsequent career alternated between postings in the Ministry of Defence and command jobs in Germany. On promotion to Brigadier, he joined a team charged with recommending changes to the Army’s command structure – most of which were subsequently implemented. He is a Chartered Engineer and a Fellow of the Institution of Mechanical Engineers. After leaving the army he became Bursar at Haileybury, the school that both he and his two sons had attended, until 2005. His elder son lives in Indiana, USA with his wife and three sons. His younger son Richard was killed on operations in Iraq in 2006 whilst serving as a Lieutenant with the Royal Scots Dragoon Guards. The family has subsequently actively fundraised for ABF The Soldier’s Charity in his memory, and he is Chairman of its Hertfordshire Committee. He is also a trustee of the Hertfordshire Community Foundation and the St Albans Cathedral Music Trust. He is keen on sport, particularly rugby and tennis, but his need for competition now largely involves playing very bad golf. He is also an enthusiastic gardener. Professor Dame Alison Peacock is Chief Executive of the Chartered College of Teaching which aims to provide a professional body ‘by teachers, for teachers’. 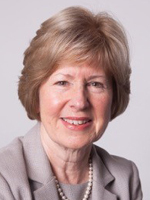 Prior to joining the Chartered College, Dame Alison was Executive Headteacher of The Wroxham School in Hertfordshire. Her career to date has spanned primary, secondary and advisory roles. 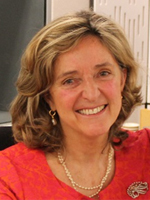 She is a member of the Royal Society’s Education Committee, a trustee of Teach First, a Visiting Professor of the University of Hertfordshire and a columnist for TES. Sir Eric Peacock is the Chairman of Buckley Ltd, the holding company for the Buckley brands. He is formerly the Founder, Chairman and Chief Executive of Babygro which he took to full listing, and currently chairs other businesses in Packaging, E-Learning), Men’s Grooming and Luxury Leisure businesses. He is also a Non-Executive at UKEF (United Kingdom Export Finance) supporting UK export focused businesses and has previously been a Non-Executive at the FCO (Foreign and Commonwealth Office), BIS (Business Innovation and Skills) and UKTI (United Kingdom Trade & Industry) government departments/agencies. He has considerable international experience and focus on growing businesses throughout the UK and internationally. Sir Eric is also focused on philanthropy and the charity scene and is Chairman of The Peacock Foundation, Uniqueness, The AB Trust and Zoological Society of Hertfordshire, and is a Trustee of The Big Cat Sanctuary in Kent. These charities are for disadvantaged young persons’ learning and the animal charities are for conservation, education, breeding and return to the wild. Ian runs a diversified farming business near Harpenden. 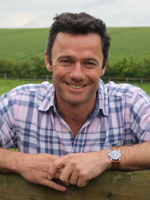 He has a particular interest in reconnecting the British public and in particular young people with food, farming and the natural environment. He chairs FACE (Farming and Countryside Education) and his own charity The Farmschool, which is an interactive farm-based programme for children from the inner cities and local schools. He has a keen interest in sport, particularly cricket and golf. He is married to Gillian and has two young children. Richard has been involved with many things in the County over a period of many years. He currently chairs the Diocesan Glebe committee and is also a member of the Diocesan Board of Finance. Having assisted with the recent Appeal for St Alban’s Abbey, he is a member of the Alban Foundation and the Cathedral Council. 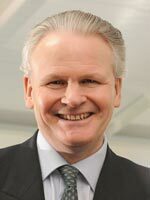 He is Lead Governor of the Herts Partnership Foundation Trust which is responsible for Mental Health Services in the County. 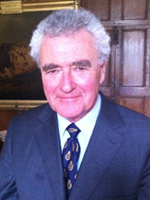 He is a member of the University Court and until recently he sat as the Independent Member of the Hertfordshire Criminal Justice Board, retiring in 2016. His interests include shooting, Natural History and racing. 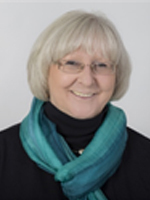 Joyce has a law degree from Bristol University, the Diploma in Social and Administrative Studies from the University of Oxford and the Certificate of Qualification in Social Work. She is a member of the United States Bar. 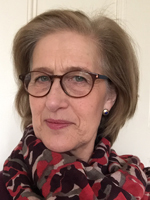 In 1991 she formed Lexicon Limited with Richard Woolfson to undertake research and consultancy assignments on behalf of government departments involved in the operation of the legal system. She was made a Dame in the 2015 honours list for services to justice, particularly vulnerable and child witnesses. She has also received awards from the US Supreme Court and an honorary Doctor of Laws from the University of Hertfordshire. Joyce and Richard married in 1987. 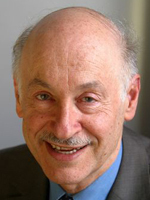 Neville Reyner is a Chartered Electrical Engineer. He spent 15 years in a global electrical conglomerate as UK Executive Vice President of Mitsubishi Electric Europe responsible for a turnover of £250 million. Prior to this he worked with Fairchild Semiconductor and Analog Devices. He started his working life in the Coal Mines of North-East Lancashire (Burnley) where he was a coal face electrician followed by the position of unit electrical engineer. He is Chairman of the Hertfordshire Chamber of Commerce, Young Chamber and Investment in Young People UK, Groundwork East (a £4.5 million plus charity in the sustainable environment area), Smartsource GB and Honeycomb Global. 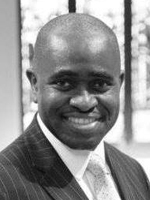 He is a Director of Premier EDA Solutions and sits on the IoD Regional Advisory Group for the East of England. He is a visiting professor to the School of Engineering and Technology at the University of Hertfordshire and a member of the School of Engineering board at Warwick University. 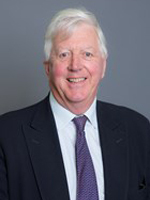 In Hertfordshire he chairs the Independent Business Advisory Group, PCC Hertfordshire and is a member of Stevenage First leading the redevelopment of Stevenage Town Centre. Neville spoke at the Oxford Union in 2011 in his capacity as President, British Chambers of Commerce. He also spoke at the European Parliament in Brussels and is a distinguished Member of the European Parliament of Enterprises awarded by the association of European Chambers of Commerce and Industry. He was appointed CBE in the 2001 New Years Honours for services to business, awarded an Honorary Doctorate from the University of Hertfordshire in 2002 and appointed a Deputy Lieutenant of Hertfordshire in 2003. Lord Salisbury was educated at Eton College and Christ Church, Oxford. He spent several years in banking in California before being elected Conservative MP for South Dorset in 1979. He stood down in 1997 after eight years of particular interest in foreign affairs, constitutional affairs and Northern Ireland. He took his seat in the House of Lords in 1992, becoming a life peer in 1999. He served as Parliamentary Under-Secretary for Defence, Lord Privy Seal and Leader of the House of Lords until 2002. He is Patron of Politeia, a forum for social and economic thinking, connected with “Open Europe” and a founder member of Afghanaid. He is involved with many charitable and community enterprises in Hertfordshire and Dorset. Formerly Chairman of the Council of the Royal Veterinary College and President of the Royal Agricultural Society of England, he is currently the Chancellor of the University of Hertfordshire. He is also President of the St Albans Cathedral Campaign and Chairman of the Chelsea Pensioners’ Appeal. He became a Deputy Lieutenant of Hertfordshire in 1987. 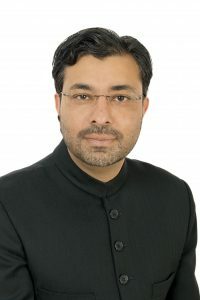 Dr Amjad H. Shah holds a PhD from the University of Edinburgh. He is the Dean of the Shīʿah Institute, which he established in 2012, in order to facilitate and promote scholarship on Shīʿah Islam, its heritage and its peoples. The Shīʿah Institute is located in Bloomsbury, the academic, scholarly, and publishing heart of London. The Fellowship of the institute comprises more than seventy reputable international scholars from some of the most renowned universities around the world. Other leading academics, also associated with the institute, advise on various editorial boards for the institute’s numerous publication series. Dr Shah’s published monographs and academic interests include subjects as diverse as classical and modern Arabic literature, critical editions, history, jurisprudence from the Medieval to the Modern period, mysticism, philosophy, and theology. He is currently engaged with numerous academic projects, including an English literary translation and Arabic critical edition of the Nahj al- Balāghah. Over the past few decades Dr Shah has given more and more time to good causes both in the United Kingdom and abroad, and continues to give his free time in a voluntary capacity to charitable projects on matters related to fundraising, education, and community issues. He became Deputy Lieutenant of Hertfordshire in 2016. Stelio was High Sheriff of Hertfordshire in 2016/17. His charity, the Stefanou Foundation, has created the Healthy Relationships: Healthy Baby programme, which helps mothers and fathers to break the cycle of domestic abuse and protect their baby’s mental health. 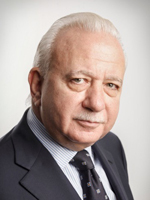 Previously Stelio owned and chaired a public services and construction company. His hobbies include cooking and photography. Ros qualified as a doctor at Cambridge University in 1980. In 1996 she took on the strategic leadership role at the Hospice of St Francis in Berkhamsted, a post she held until March 2015. She is now working as Clinical Director for Hospice UK, a national umbrella charity for the hospice movement, and part-time as a physician at the Royal Marsden Hospital in London. Dr Taylor has over 20 years’ experience in palliative care, and has lectured widely, nationally and internationally. She believes clinical leadership is vital, keeping core values of care in focus from the bedside to the Board. 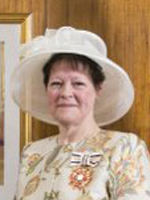 She was awarded an MBE for Services to Hospice Care in 2014, following nomination by a patient. Lord Trenchard is a banker and company director. He worked for Kleinwort Benson Limited from 1973-76, including 11 years in Japan. 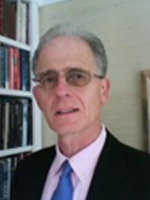 He has also worked for Robert Fleming & Co. Limited, Prudential Financial, Inc. and Mizuho International plc. He is a former Director-General of the European Fund and Asset Management Association. He is currently Chairman of Stratton Street PCC Limited and a Director of several companies including Lotte Chemical UK Limited. He is also a Consultant to Simon Robertson Associates LLP and a Senior Advisor to Optum Health Solutions (UK) Limited and to Adamas Asset Management (HK) Limited. 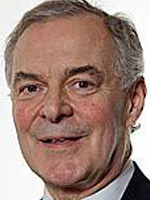 He was a member of the House of Lords from 1987-99 and returned to the House as an elected hereditary peer following a by-election held in May 2004. He is a Vice Chairman of the British-Japanese Parliamentary Group. He served as joint Chairman of The Japan Society from 2000-04. He was awarded the Order of the Rising Sun, Gold and Silver Star, by HM The Emperor of Japan in 2014. He is Deputy Chairman of The Royal Air Force Benevolent Fund, having served as a Trustee from 1991-2003 and as Chairman from 2006-13. He served with 4th Battalion, The Royal Green Jackets, TA, from 1972-80 (Captain 1976) and was appointed Honorary Air Commodore, 600 (City of London) Squadron, Royal Auxiliary Air Force, in 2006. He was appointed a Deputy Lieutenant for Hertfordshire in 2008 and a Lieutenant of the City of London in 2014. Hugh was educated at Eton College and Trinity College, Cambridge. He is married to Fiona who served as High Sheriff of Hertfordshire 2013- 14. They have four children and four grandchildren and live at Standon, Hertfordshire. His interests include watching skiing and country pursuits. 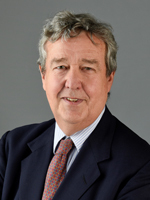 W. (“Bill”) Tudor John is a lawyer who practised for 33 years in the international law firm, Allen & Overy, 28 years as a partner and the final 6 years as the senior partner; his speciality area of practice was international financial law. He retired in 2000 and then joined Lehman Brothers as Chairman of its European Commitment Committee. When Lehman collapsed in 2008, its European and Asian businesses were acquired by Nomura International, the Japanese bank, and Bill joined Nomura as a Managing Director. He retired from Nomura in 2010. 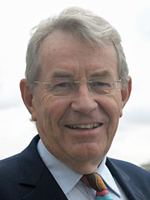 He also held a number of non-executive positions including that of deputy chair of the Financial Markets Law Committee (the body established by the Bank of England, on behalf of the UK Government, to examine legal uncertainties in the wholesale financial markets and to recommend ways of removing them), a fellowship at Downing College, Cambridge University, non-executive directorships of Grainger plc and of the National Film and Television School (NFTS) and deputy chairmanship of the Nationwide Building Society, having previously been Chairman of the Portman Building Society which merged with Nationwide. He retired from a number of these in 2014 but retains his Downing fellowship and NFTS directorship and is also on the Hertfordshire University Court and a member of the St Albans Cathedral Fabric Trust. 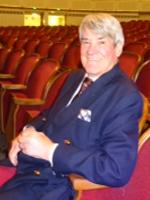 Bill is also a Trustee of the Welsh National Opera Company and a Steward of the British Boxing Board of Control. Between 2006 and 2007 he was the High Sheriff of Hertfordshire and is also a Deputy Lieutenant of the County. He holds an MA from Cambridge University. He is married to Jo, and has 3 daughters and 8 grandchildren. Lionel is an Aeronautical Engineer, Consulting on Aviation Safety and a graduate in Law from the University of Hertfordshire. He is a minister working particularly with Italian Churches in Europe. Lionel is involved in various charity and community organisations, including the Local Scrutiny and Involvement Panel of the Crown Prosecution Service. He is married to Dawn and they have 2 boys. Janie moved to Hertfordshire with her young family in the mid-eighties. She was involved originally with the NSPCC and then was lured by Teddy Faure-Walker to the Hertfordshire Association of Young People (HAYP). Janie eventually chaired HAYP which later joined the Hertfordshire Council for Voluntary Youth Services and the two became Pro-Action. Janie chaired this charity for seven years from the inception (and loved it – still does!). In 2009/10 Janie was High Sheriff of Hertfordshire, a great honour. Her main focus for the year was young people and visiting and learning about the work of hospices in Hertfordshire. Moreover she hugely enjoyed being involved with those who do so much to enhance the lives of others in the County. Her hobbies are her grandchildren and skiing. Penny is a retired qualified social worker. Her current roles are Chairman of Vincent’s Charity (housing) and Co-Chairman of St Albans Amnesty International Group, Vice-Chairman of St Albans and Hertsmere Domestic Abuse Forum, Trustee of Centre 33 (a day centre for the lonely) and Hertfordshire Domestic Abuse Helpline. She presents for the local Magistrates’s Association with their Magistrates in the Community primary schools project. She sits on the Community Liaison sub group of the Hertfordshire Criminal Justice Board and is a lay member on the Victim sub group of the country strategic board on Modern Slavery. She is Vice-President of HACRO, having previously been its Chairman. She was co-opted onto the Hertfordshire Community Foundation Development and Marketing Group. Formerly she was a magistrate for 27 years, and in that time was Chairman of the St Albans Family Panel, vice chairman of the Hertfordshire Family Panel and Vice-Chairman of the national Magistrates’ Association Family Courts Committee. She was also Trustee of Hertfordshire Community Foundation and chairman of Governors at Batchwood School for children with Emotional, Social and Behavioural Problems having previously been a governor there. She currently leads the team of Deputy Lieutenants for QAVS and sits on the Social Responsibility Panel and an area panel. 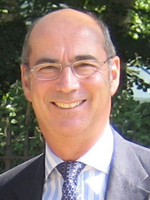 Tim was formerly Vice-Chancellor of the University of Hertfordshire. 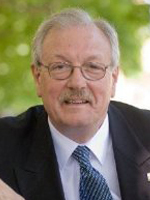 He is now a Non-Executive Director of the Unite Group plc, Chair of Arden University Ltd, Senior Trustee of Garden House Hospice Care and Chair (designate) of the Unite Foundation, a charity that supports students who are estranged from their families. He is also a Director of Wilson-Pendleton Ltd. He is married to Jackie whose long-term interests include the North Hertfordshire RDA and volunteering in the Children’s ward at the Lister Hospital in Stevenage. Richard holds a doctorate in Mathematics from the University of Oxford. He was an academic before the diamond industry in a research capacity. He spent eight years in the Information Systems industry before forming Lexicon Limited with Joyce Plotnikoff to undertake research and consultancy assignments on behalf of government departments involved with the legal system. He has sat on the Access to Justice subgroup of the Civil Justice Council and the Bedfordshire, Hertfordshire and Essex Courts Board. He facilitated the CPS Local Scrutiny Involvement Panel for Hertfordshire and Bedfordshire. He and Joyce married in 1987. Akhtar Zaman attended primary and secondary education in St. Albans then went onto gain a Bachelor of Science with Honours in Computer Science at the University of Hertfordshire. He has spent his working career with several multinational software companies both as technician and in a management capacity including the role of CEO for a start-up consultancy business. He has travelled for work to over 20 countries worldwide, experiencing many and varied cultures. Akhtar is married and has a daughter and two sons who also live and work in Hertfordshire. Akhtar grew up in St. Albans, and has been active from a young age with many faith groups, race relations, and charities. 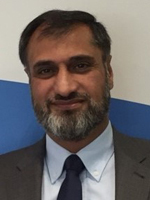 He has served and represented the Muslim and Asian communities over the past 30 years on various committees; currently this includes being a trustee and chairman of two organisations. Areas of interest include Faith Groups Collaboration, Youth Enablement Initiatives, Helping the Disadvantaged, Community Integrations/Relations, Promotion of Digital initiatives especially in the community. He is the chairman of the Lieutenancy Media Panel, and a member of the Inter-Faith Panel.